At IWDA we are heartened by growing opposition to the sexual harassment and assault faced by women around the world. Women’s experiences may differ based on where they live, their class, race, age, sexuality and other factors. But they are linked by a common underlying cause: abuse of power. This must change to achieve a safer and more equal future. If you can, please make a donation towards a more equal future by clicking on this link. In Cambodia, women are 90% of workers in the country’s $5 billion (USD) textile industry. Yet despite their essential contribution they are poorly paid and undervalued. Many women garment workers are pressured to work long hours and return home in the dark, when they are likely to face harassment. Last year IWDA partner, Workers’ Information Centre (WIC), surveyed women garment workers in Cambodia. They found that nearly 40% of women had experienced sexual harassment, and around half of these women were harassed on their way to and from work. For many female garment workers, lack of economic and social power, low wages and long hours make it extremely hard to speak out or walk away. Often they have moved to cities to work in factories to support their families. Cambodia’s labour laws prohibit sexual harassment but they don’t define what harassment is, provide complaints procedures or create channels for workers to secure a safe working environment. This is why the work of IWDA partner, Workers Information Centre (WIC), is so critical. WIC supports women workers standing up for their rights, providing information about legal options and solidarity. It works to build and strengthen a movement of garment workers that can act together to achieve workplace safety and rights. WIC wants and needs to do more. If you are able to, please make a donation in support of organisations like WIC. When you donate before 30th June, you can reduce your tax this financial year. No woman should have to experience sexual harassment and assault. Not at work, at home or in public places. Not in Australia, not in Cambodia. Not now, not ever! 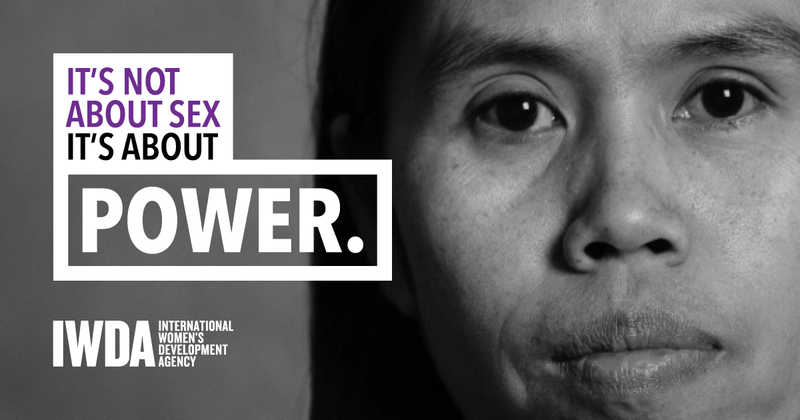 Use your power NOW to stand with garment workers in Cambodia as they challenge abuses of power that oppress women. Your tax deductible donation will help to support women across Asia and the Pacific to make change a reality.